"Scientist Facts Kids Science - ♥♥ The world we live in today would no doubt be a different place if it weren't for the amazing scientific invention & discoveries by great Scientist.♥♥ App is compiled for easy use for all including kids!! 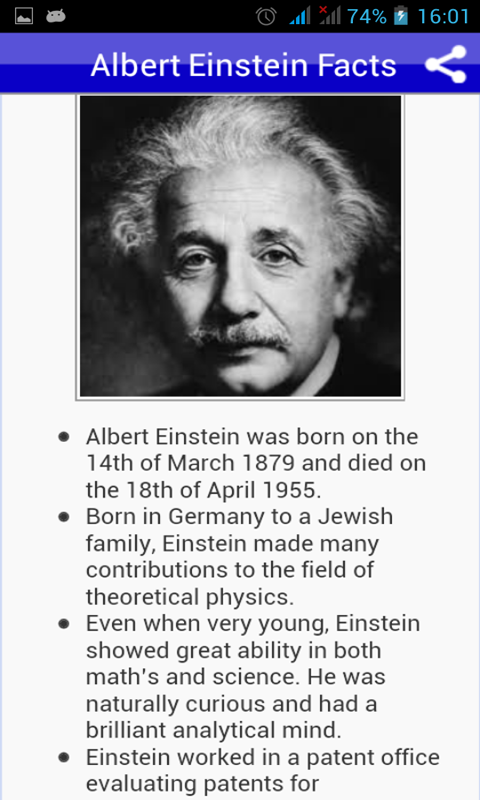 Learn interesting facts of many all time famous Scientist who lived and made huge difference in this planet!! ♥ Albert Einstein ♥ Issac Newton ♥ Thomas Alva Edison ♥ Leonardo Da Vinci ♥ Charles Darwin & MORE.. Download for Free!! Scientist Facts Kids Science!! 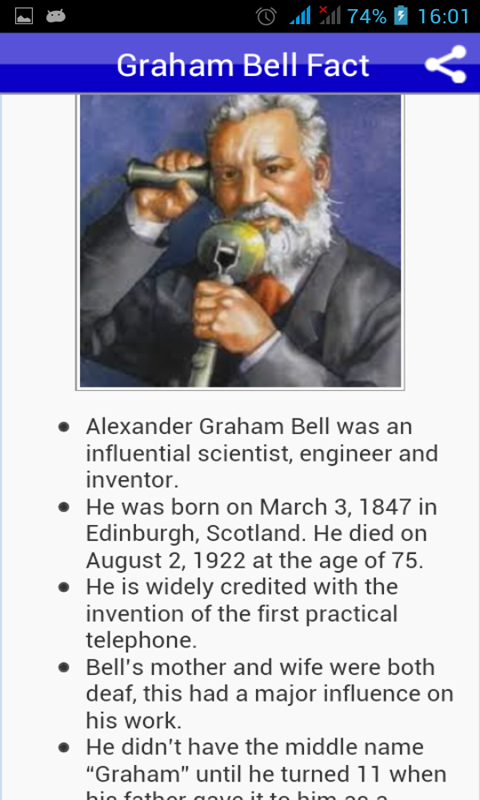 Glimpse great Inventors & about their Inventions!!"